Your lunchtimes are sorted at The Duke. 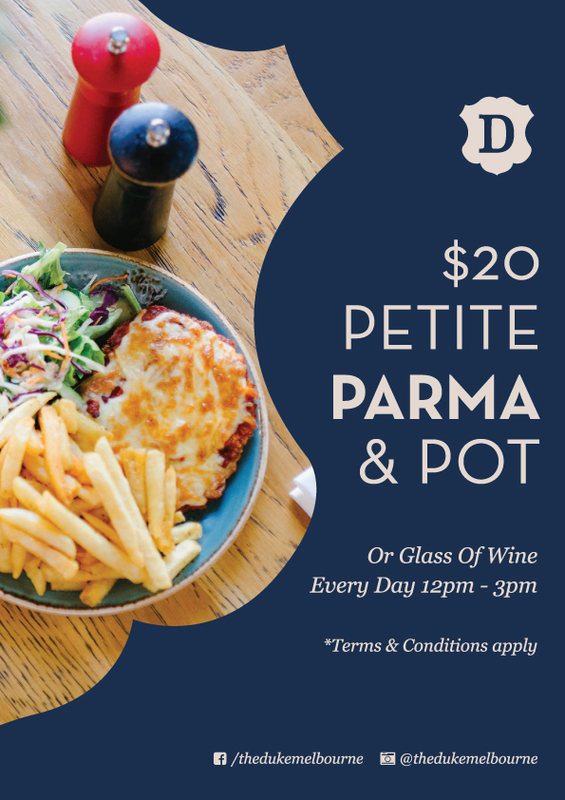 Pop in every day between 12pm and 3pm to enjoy the Petite Parma and pot of beer, or glass of wine*, for just $20. The perfect size for lunch, our Petite Parma comes complete with crinkle cut chips, slaw, Dijon dressing. Come in today and see what all the fuss is about.